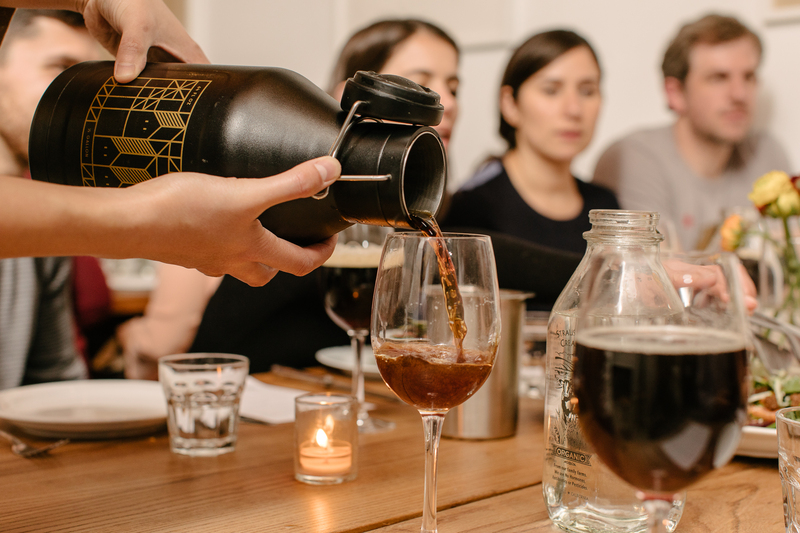 Last year's dinner with Fort Point Beer Company was such a fun, delicious experience, we can't wait to repeat it. We're cooking up a new menu with Fort Point's latest beers for SF Beer Week 2019. Chef Mike Weller will be working the magic in our kitchen, while Fort Point staff will host conversations around our dining room, with expertise and stories told by Fort Point's Head Brewer, Mike Schnebeck. ** Any allergies and sensitivities should be emailed to info@18reasons.org as soon as possible. We will do our best to accommodate with prior notice. Mike Schnebeck is the Head Brewer at Fort Point Beer Company, located in San Francisco, CA. He has overseen production since the brewery opened in 2014 and has helped lead the company to considerable year-over-year growth. His team has won multiple awards for their beers, including a silver medal at the 2015 Great American Beer Festival, and gold medals at the California State Fair. He believes that the most enjoyable beers are balanced, nuanced, and show harmony among their flavors. When he's not staring at spreadsheets or studying fermentation, he spends his time playing music with friends, exploring the outdoors, and refining his grilling technique.